Extended 3 weeks, The Grinning Man must end 5 May. Do not miss your last chance to see this tremendous new musical! 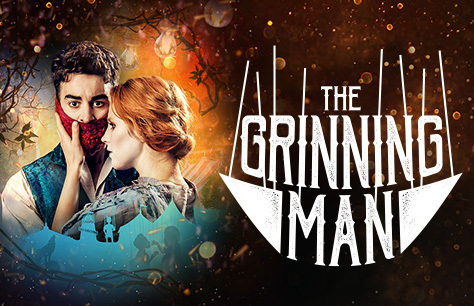 London’s critically acclaimed new British musical The Grinning Man, now playing at the Trafalgar Studios, has announced a final extended three week booking period until 5 May. This is the very last chance for West End audiences to see this adored, award-winning production set in a fantastical world with a dark heart. Directed by Tony-award winning Tom Morris (War Horse) The Grinning Man has enchanted audiences again and again, receiving wildly enthusiastic standing ovations at every performance. Louis Maskell (My Fair Lady, West Side Story), recently nominated for Best Performance in a Musical for his role in the Bristol Old Vic production, will again lead the cast in the title role of Grinpayne, the show’s disfigured hero. Book The Grinning Man tickets now to avoid disappointment. Absolutely must end 5 May.